Bring new life to every ride with Edge 200. This GPS-enabled bike computer tracks time, distance, speed, location and calories burned. 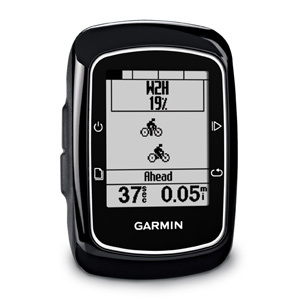 The Edge 200 is ideal for training, everyday and touring rides or any adventure you want to relive later at Garmin Connect — our free website for data analysis, mapping and sharing. Edge 200 features a high-sensitivity GPS receiver with HotFix satellite prediction to calculate your position faster. 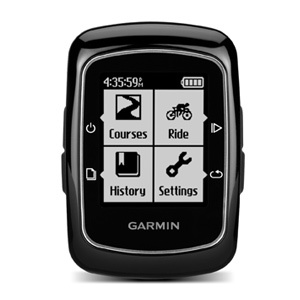 That means when you turn it on outdoors, it finds satellites quickly so you can get on with your ride. It also alerts you if you’re moving but the timer is not running. Edge 200 has an Auto Pause feature so it will stop the timer when you’re not moving, then restart automatically when you’re rolling again. You also can set alerts for distance, time or calories to make it easier and more fun to achieve your goals.